Dental implants are small titanium posts that replace the roots of missing teeth (View Example). They are inserted into your jawbone during a minor surgical procedure that takes place in the dental office in McDonough, GA- Brooks Cosmetic & Family Dentistry. After the implant has been placed in your jawbone, a completely lifelike porcelain tooth crown is attached. In some cases, the implant needs to fuse with the bone for several months before it is permanently crowned; in other cases, you can have new (but temporary) teeth the same day your implants are placed. 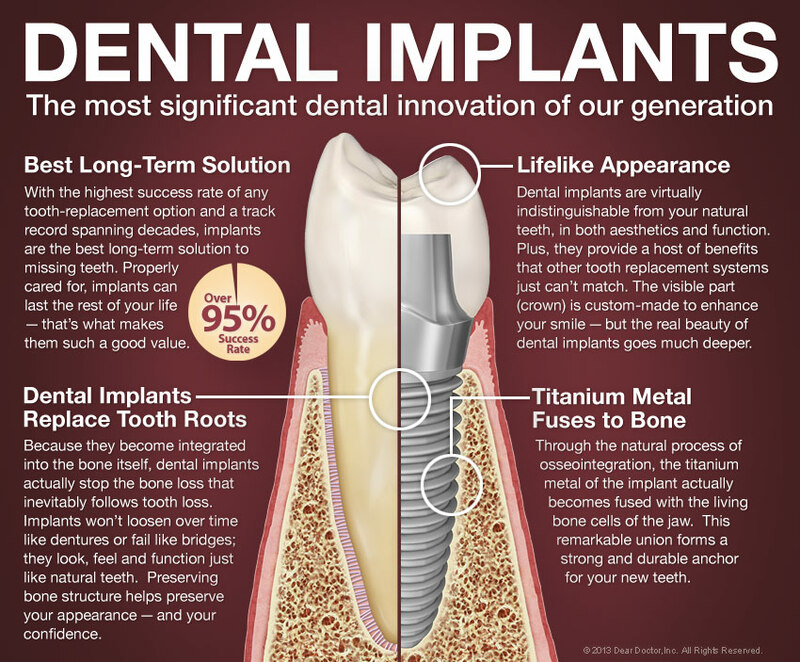 Your McDonough, GA dentist can replace a single tooth, multiple teeth or all your teeth with implants (View Examples). You don't even need one implant for every missing tooth. As few as two Implants can support a removable lower denture, while as few as four implants can provide a full, permanent set of top or bottom teeth. There's a good chance that you are, but this can only be determined after a complete oral examination by your McDonough, GA dentist which will include x-rays of your jaws. Please schedule a consultation to begin the exciting process of restoring your smile and bite. 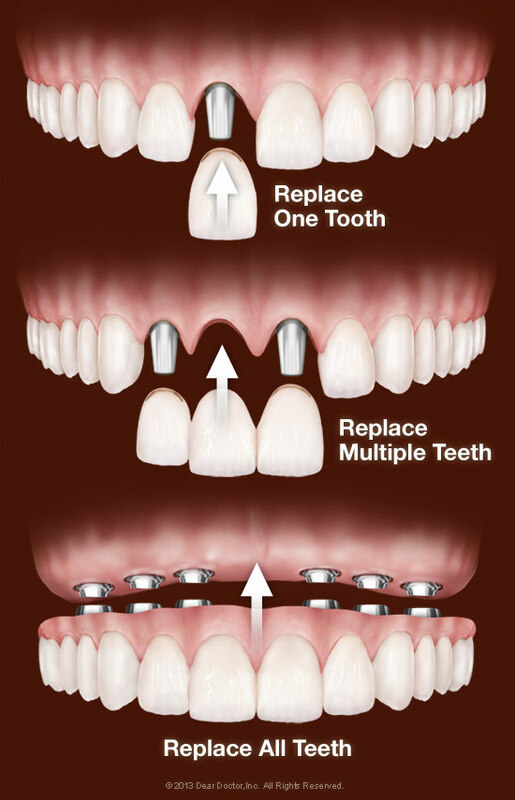 Interested in learning more about our Dental Implants? at (678) 583-0330 to learn how we can help you!